Stuart and his son Steve, are our local fence installers in Hereford and Worcestershire. 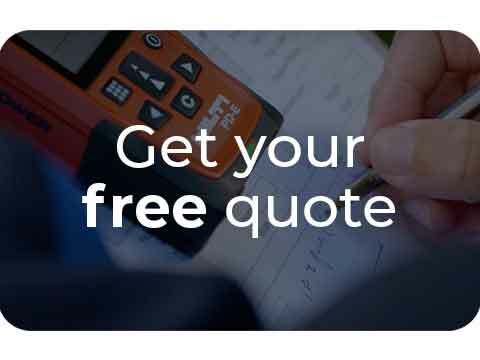 They offer a free, no obligation measuring and quotation service, which means they can give you an accurate price on the spot when they visit you. The visits generally last no longer than 45 minutes and you have the reassurance of the unique ColourFence “no pressure” promise. Stuart and Steve aim to offer a first-rate personal service which puts the needs and expectations of their customers first. Their team are committed to working in a tidy and organised manner with as little disruption to your garden as possible. You will have sturdy fencing that is not only finished to a high specification, but it will also be an enhancement to your garden. Plus you will have virtually no maintenance to do for years to come! 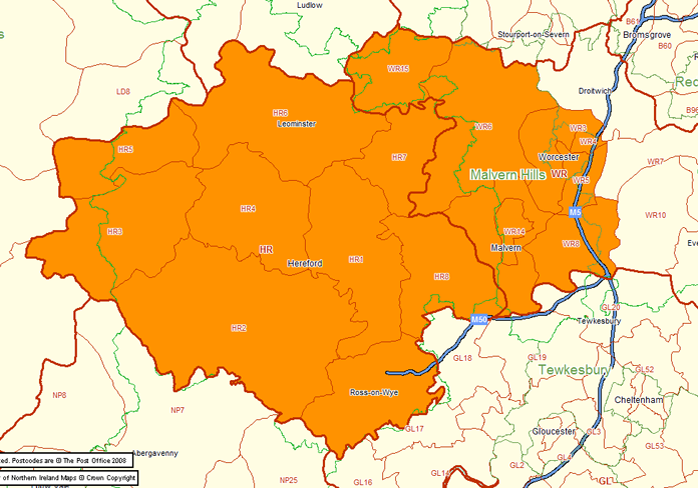 Stuart and Steve don’t just cover Hereford and Worcester, they also supply and install fencing to the surrounding areas such as; Martley, Hallow, Ledbury, Ross-on-Wye, Ombersley, Leominster and Malvern. 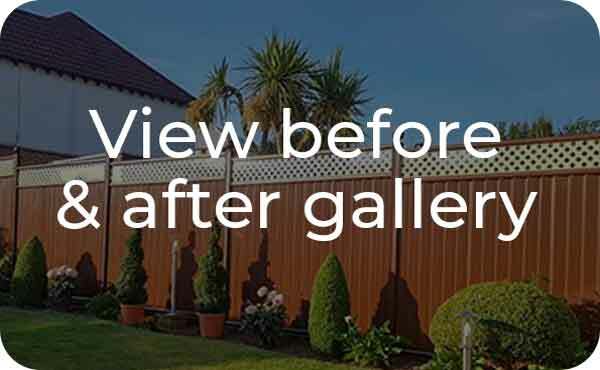 "From start to finish my installation of ColourFence has been looked after by a great team. Stuart who came out to explain the system, listen to what I needed, and give advice on what he thought would be correct for the job, then gave a prompt quote and date for the work. Then, Steve and Chris who came and did the work, they were polite and pleasant at all times. They had all weathers thrown at them but still managed to finish within the time given for the job. I am now looking forward to having ColourRail installed around the front of my garden by the same team." "Excellent service. Fence fitted on the date arranged by very competent and obliging workmen and it looks fantastic. One very happy customer." "Good quality - great service - friendly installers who listen to you and offer sound advice. It's worth the little extra. No more fence painting for me." "Continually checked I was happy with the work at each stage, worked very hard and quickly. Very friendly guys and I am very happy with the quality of the fencing and standard of work." 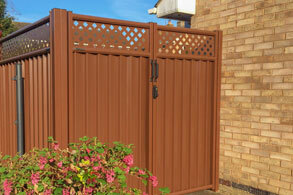 "ColourFence did a wonderful job on my rear boundary fence. They turned up when they said they would. They finished in time. They tidied up the site and I would not have known they had been there. Even the skip was removed promptly. An excellent job and when my side fencing needs doing I know who to contact." "On June 22nd 2017 Profence Ltd T/A ColourFence erected a green 8 panel trellis fence at our address. Steve and Josh were the first to arrive at 8.30. They worked hard from the moment they arrived until the last panel was fitted at 4.45. They were very efficient at their job, pleasant, well mannered and polite. In fact, they were a pleasure to have working on our property. The job was completed the same day and we could not believe the difference the fence has made to the garden. Every piece of Offcut together with the debris from the holes dug, was taken away and the whole area left very clean and tidy. We have no hesitation whatsoever in recommending ColourFence and when further fencing is needed, we know which firm we will use. It has been an absolute pleasure dealing with Stuart, Steve and Josh." 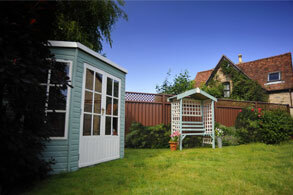 "We are very pleased with our choice and colour of fence. It has been admired already. Thank you for all your attention and detail, it was a pleasure to have you working here." 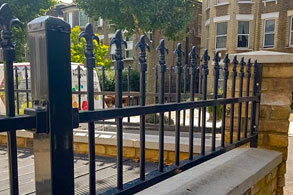 "We are very pleased with the outcome, and indeed with all the fencing supplied."